As the weather (finally) begins to warm up, the prospects of roasty toasty days spent down at the beach or poolside begin to beckon. But if you’re like me, a summertime spent swimming in the pool or cavorting in the ocean means the inevitable clogged ear or two. And that’s sure to spoil anyone’s day. Clogged ear, plugged ear, blocked ear — it’s all the same, and it means troubled times of discomfort, repeated sentences (or misheard words) and perhaps the odd bout of infection ahead. You’ve got far too many fun-filled plans over the warmer months to get bogged down with blocked ears, so this post will help you: a) take steps to prevent getting clogged ears in the first place, and b) employ proven natural remedies to quickly and effectively treat the blockage and get you back in auditory action ASAP. Before we get down to business, it’s important that you can make the distinction between a simple case of a clogged or blocked ear, and swimmer’s ear. Clogged ears are essentially caused by a wax blockage, and while annoying, don’t pose much of an immediate risk to your health. Ear wax is designed to keep dust and debris from entering your inner ear, where it can cause all sorts of damage and infection. When a batch of ear wax has done its dash, it makes its way into the outer ear where it either drops out of your ear (hopefully discreetly!) or is scooped out by a cotton swab-wielding hygienic go-getter. This is all very well when the system is working fine, but certain things can cause that ear wax to go inwards rather than outwards, where it can harden and form a plug. As we already know, one of the things that can cause this wax plug include water impaction from bathing or swimming, but even the conscientious ear-swabber can accidentally push wax in if they’re not too careful, and a clogged ear can be the result. Symptoms of a clogged ear include diminished hearing in the affected ear, a feeling of fullness in the ear (because of all that wax that’s been shoved in), and a possible earache, ringing or buzzing in the ear. Swimmer’s ear, on the other hand, is a common infection that occurs when bacteria found in water cause infection in the ear canal and pinna — part of the outer ear. Otherwise known as otitis externa, swimmer’s ear is usually due to bacteria infection from Staphylococcus aureus and Pseudomonas aeruginosa, both of which are easily treated if done so reasonably quickly. Symptoms of swimmer’s ear include pain, swelling, redness, itching, ringing in the ear and difficulty hearing. It’s important to know that swimmer’s ear is not the same as a clogged ear, and it requires a very different treatment regime. Consult your doctor if you’re unsure. The biggest contributor to a clogged ear is overenthusiastic cleaning. As discussed earlier, using something like a cotton swab to clean excess wax from your ear canal can actually push wax back inside the inner ear, where it can quickly become impacted. This forms a hard “plug,” which can be difficult to break up without a visit to the doctors. With this in mind, the biggest thing you can do to prevent getting clogged or blocked ears is to avoid cleaning your ears altogether! While this might seem a bit gross, wax is a necessary part of a healthy functioning ear, and it is designed to come out on it’s own when the time is right. Trying to supersede this process will only elevate your risk of developing a clogged ear, so hold off if you can! If you’re one of those people who generate a lot of ear wax, however, saying “no” to ear wax removal might not be an option. In this case, use a clean, wet cloth or tissue to gently remove excess wax from your outer ear and avoid pushing your finger or the cloth too far into the ear canal. If you’re prone to ear wax blockages, especially due to regular swimming, your best course of action is to gently irrigate your ears regularly to discourage the formation of a hardened wax plug. Another way to discourage hardened ear wax is to occasionally put a few drops of warm (not hot!) olive oil into your ears, leave in for ten minutes, then tip the ear up to allow the oil to drain. At this point, give the outside of the ear a gentle wipe with a clean tissue to remove any earwax that might have been dislodged. If you’ve already succumbed to a case of the clogged ear, never fear: natural remedies are here! There are plenty of things you can do to quickly and effectively unblock your impacted ear without the side effects. Whenever I feel a clogged ear coming on, my go-to natural remedy is a warm compress. These are particularly effective for unclogging ears associated with colds, sinus congestion or just a classic case of shoving the wax in too far when you cleaned your ears last! The gentle heat from the compress helps to soften any hardened wax and make it much easier to remove, along with aiding in the decongestion of mucus and other clog-worthy substances in the ear canal. It’s up to you what you use for your warm compress, but here’s a quick and easy “recipe” that you can use time and again… although hopefully you don’t have to! Pour two cups of dry, uncooked rice (any kind will do) into a large sock that you’re not overly fond of. Tie the sock off towards the top to prevent the rice from escaping. Place the rice sock in the microwave along with a cup of hot water, and heat for around one minute or until the sock is hot, but still ok to touch. Lie down with the warm compress under your clogged ear, and stay like that until the compress has cooled. The longer the compress remains there, the better. Repeat twice daily until the wax plug softens and the ear unblocks. Olive oil is another popular natural remedy for clogged ears, with studies showing that warm olive oil sprayed directly into the ear helps to enable “total wax removal.” This means that, while pouring great glugs of olive oil into your ear every day to help remove a wax plug might not be a great idea, either putting one or two drops of warmed, pure olive oil or using a spray bottle to gently spray it into the outer ear could make all the difference in removing excess wax. 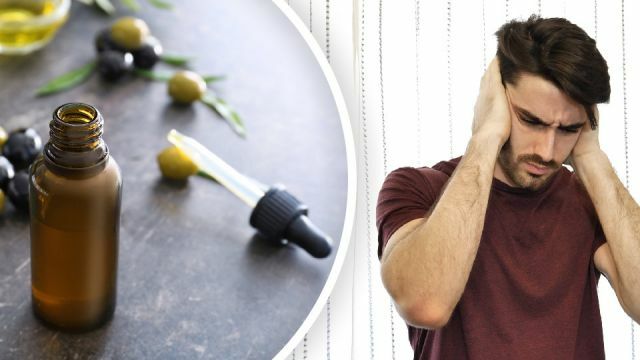 Use an eyedropper to put two to three drops of warm olive oil into the affected ear. You’ll know there’s enough when it sounds like your ear just went underwater. Lie on your side for ten minutes to allow the olive oil to work its magic, then drain the oil into a clean tissue, wiping away any wax that gets dislodged. Keep your ear pointing down until all the oil has drained. Take a deep breath, then close your mouth and pinch your nostrils closed. Attempt to blow out through your nose, which will force air out through the Eustachian tubes of your ears and hopefully remove the blockage. Be sure not to blow too hard, as too much pressure could damage your eardrums. If the maneuver worked, you’ll hear a slight popping sound and an instantaneous improvement in your hearing. Hey Buddy!, I found this information for you: "3 Natural Remedies For Clogged Ears Using Basic Ingredients". Here is the website link: https://www.thealternativedaily.com/3-natural-remedies-clogged-ears/. Thank you.